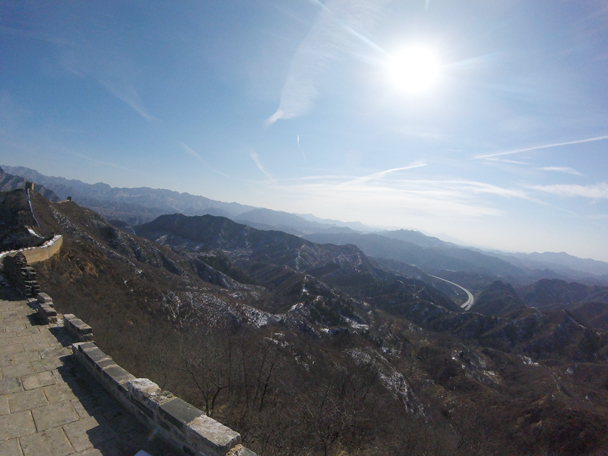 In Brief: Photos from a hike at the Jinshanling Great Wall. 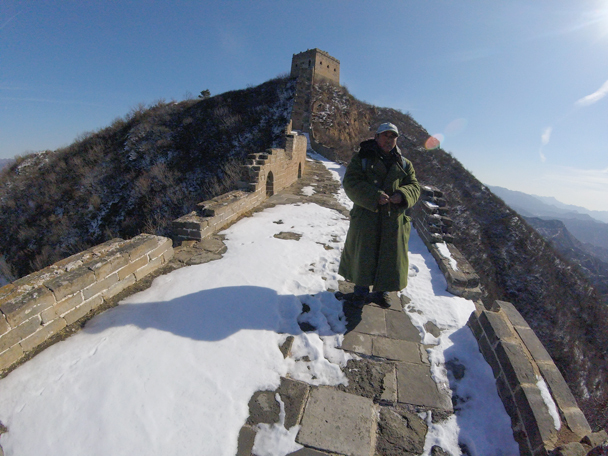 We headed out to the Jinshanling Great Wall on a cool and clear day, and had the place all to ourselves. Nice! 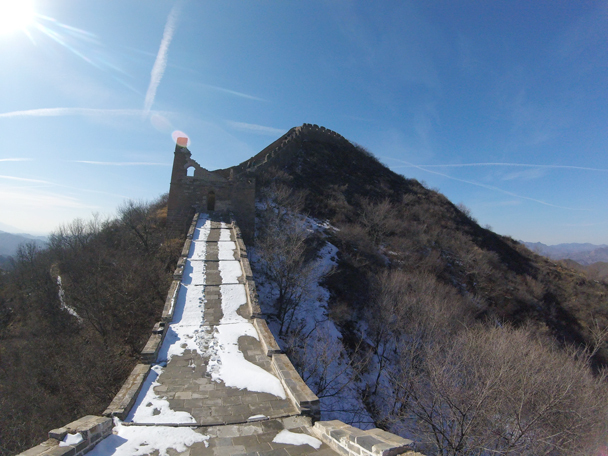 The Jinshanling Great Wall dates back to the Ming Dynasty (1368–1644), and was fixed up in the late ‘80s. 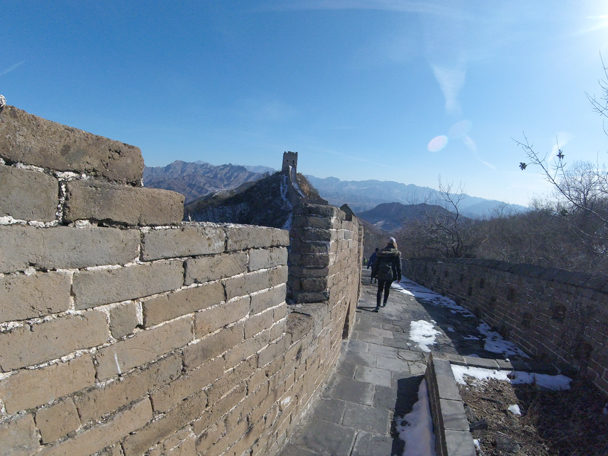 The steep wall and large towers at Jinshanling give some of the best views of the wall in Beijing. Photos below! 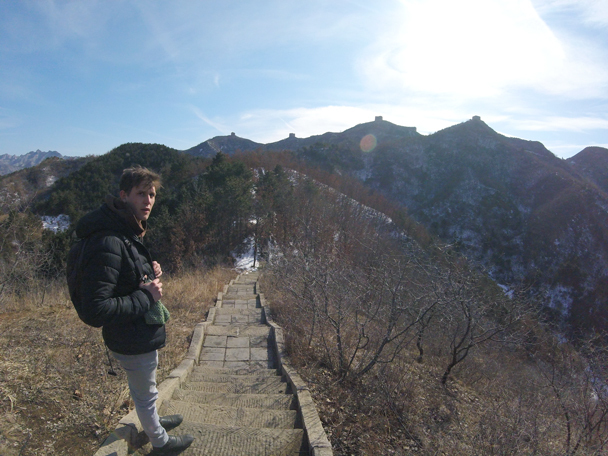 We started the hike at the park area of the Jinshanling Great Wall. After a steep stair climb we were up on a high point. 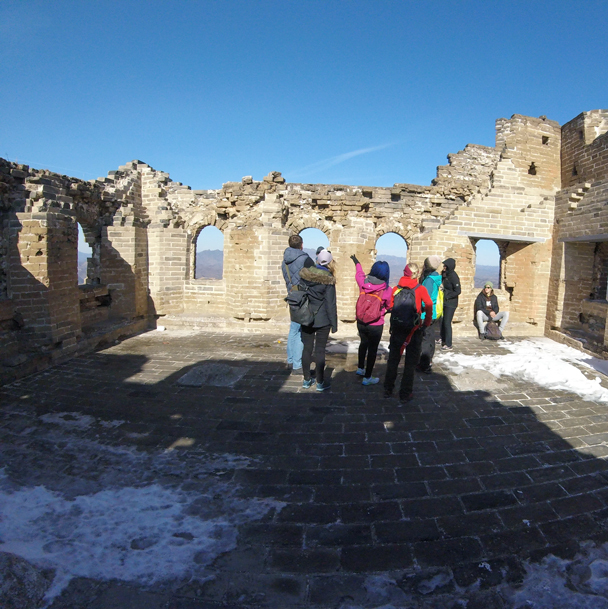 Inside a ruined tower, one of many at Jinshanling. 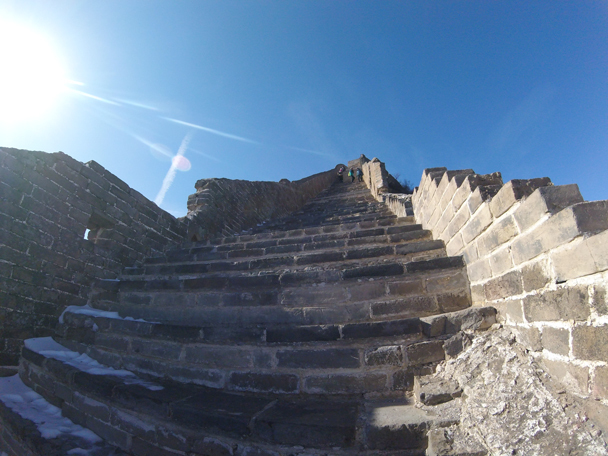 The view of some of the steep stairs we climbed. 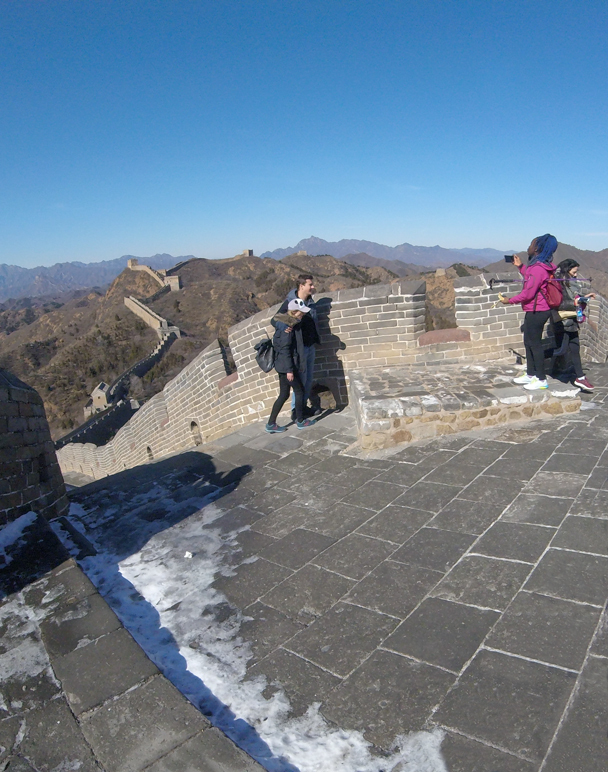 Closer view of the stairs – steep! 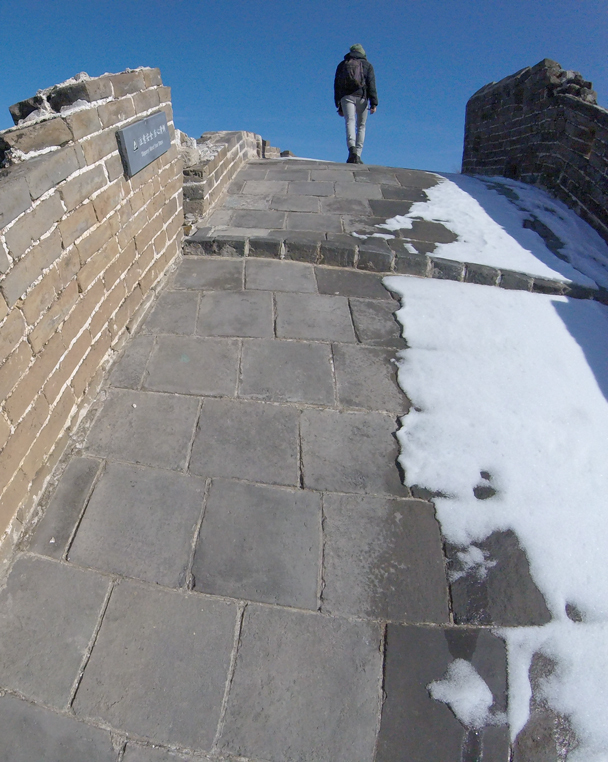 It would have been slippery here had the snow not melted. And this part would have been near impossible if icy. This tall tower was the end of the line for us. The tickets guy wanted us to hurry so he could lock up the gate and go home early. 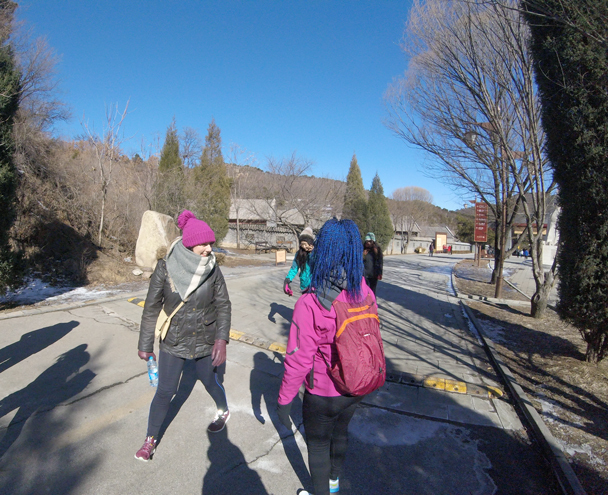 Starting to head down to the car park. Really stunning weather made for great views. 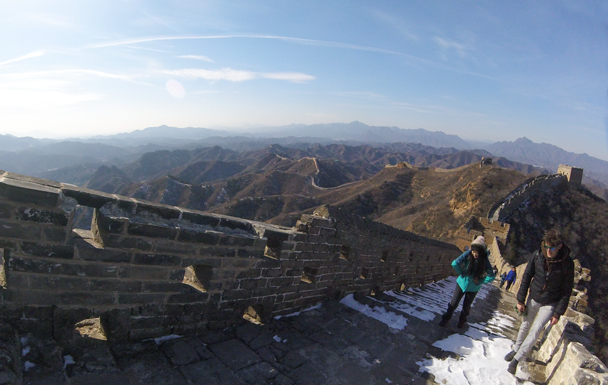 The last view from the wall, looking back to where we started the hike. 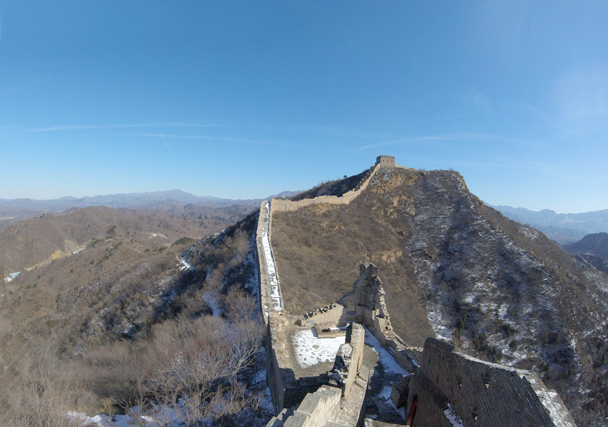 A view of the Great Wall from below.